Genesis 1:25 "And God made the beast of the earth after his kind, and cattle after their kind, and every thing that creepeth upon the earth after his kind: and God saw that it was good." (KJV) If God made the Creation, wouldn't He be able to use common design features in widely different organisms? Yes! But the evolutionist, by excluding God, has devised a concept called "convergent evolution" to explain the observations seen below. As the convergence of common features among organisms cannot be seen or measured as occurring today, it must be extrapolated (assumed) to have occurred into the distant past or will occur in the distant future. Please note that variation among a kind is not adequate evidence for convergence (different animal or plant groups developing similar attributes) or divergence (the separating of similar organisms or plants into separate groups with distinctly different attributes). Further and even more abstract are assumptions that are made regarding complex life developing from simple life-just given enough time. It is not observed today. There are no simple life forms, and the development of simple to complex must be assumed. It is not science. Yet, if I say God designed it this way, it is also not observed to be happening at present- at least in a measurable scientific way. However, the degeneration of life forms through mutations (see section on creation/evolution) has been measured and is consistent with the Biblical concept that with sin entering the earth life began to deteriorate. But, this is not evolution as many would want to describe it-but it is change; yet not into a different life form or increasing complexity; but rather degeneration. Science cannot answer or differentiate between these two views-evolution by self-organizing matter or creation by an intelligent being. One must incorporate a view of the origins of things from his or her own religio-philosophical biases. To me it is more reasonable to consider the universe the handiwork of an intelligent being-even if I (or we) are unable to understand His origination. The Bible says that He is "everlasting" and the great "I AM". Thus, it seems reasonable to me that He is outside of and not within the restraints of the creation. I choose, as a scientist, philosopher, physician, and a Christian to believe that as Genesis says, "And God made..."
Figure Legend: 1) Wasp nest-insects; ) Mud dobber nest-birds; 3) Hummingbird Moth-insect; and 4) Hummingbird-a true bird. "A gyroscope (from ﻿Greek﻿ γῦρος gûros, "circle" and σκοπέω skopéō, "to look") is a device for measuring or maintaining﻿ orientation﻿, based on the principles of ﻿angular momentum﻿...Applications of gyroscopes include ﻿inertial navigation systems ﻿where magnetic compasses would not work (as in the ﻿Hubble telescope﻿) or would not be precise enough (as in ﻿intercontinental ballistic missiles﻿), or for the stabilization of flying vehicles like radio-controlled helicopters or ﻿unmanned aerial vehicles﻿. Due to their precision, gyroscopes are also used in ﻿gyrotheodolites﻿ to maintain direction in tunnel mining." 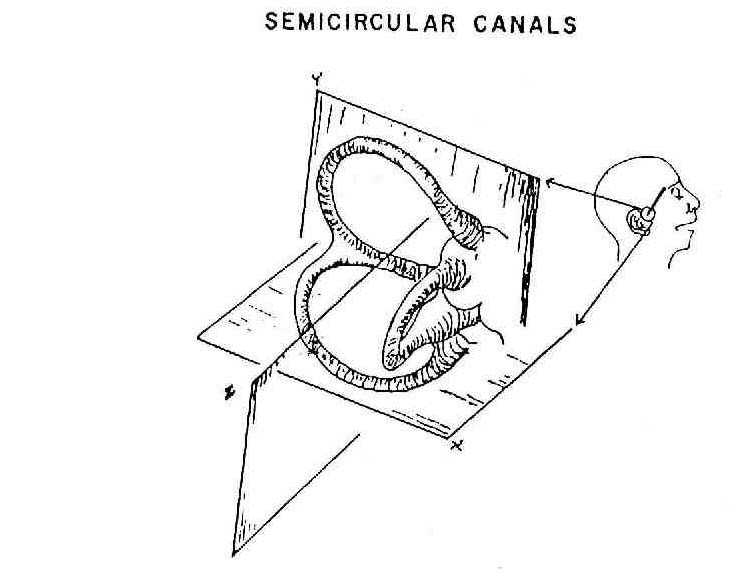 "The vestibular system, which contributes to ﻿balance﻿ in most mammals and to the sense of ﻿spatial orientation﻿, is the ﻿sensory system﻿ that provides the leading contribution about ﻿﻿movement﻿ and sense of balance...As movements consist of rotations and translations, the vestibular system comprises two components: the semicircular canal system, which indicate rotational movements; and the ﻿otoliths﻿, which indicate linear accelerations. The vestibular system sends signals primarily to the neural structures that control eye movements, and to the muscles that keep a creature upright." ﻿These principles have been the foundation for most guidance systems from ship stabilization to rocket projectories. Man simply uses what God has already placed in the creation. 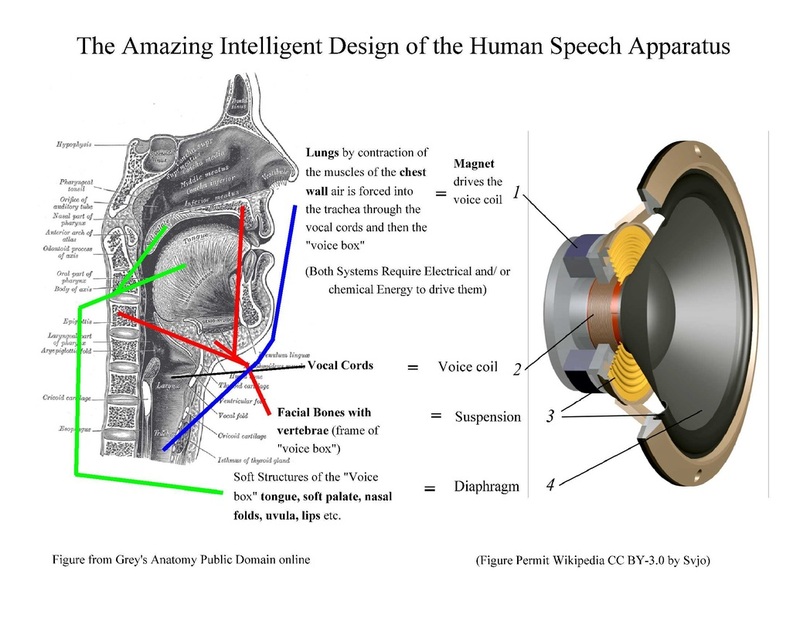 Both articles from Wikipedia online 2014 see "Gyroscope" and "The Vestibular Apparatus", as well as the figures with permit. Scripture from King James Version Bible online with permit. Drawing below redrawn, by JGL, from Gray's Anatomy-published 1918. Image gyroscope from Wikipedia-public domain 7-13-15. The camera and the eye: The eye has often been compared to a camera. Each has a diaphragm which adjusts to let in a certain amount of light into the mechanism. 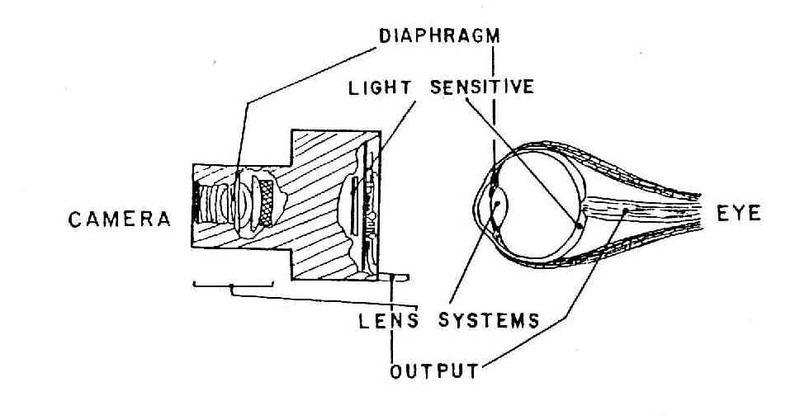 Both have lens systems.However, the eye with a flexible lens does not require all the extra parts and multiple lens necessary for a focusing camera (although modern digital camera can partially adjust for this electronically). Both have a light sensitive material (the eye the retina, the camera a film or photon sensitive surface) which records the photon input. Both have an output that goes to a central processing unit (for the eye it is the brain and for the digital camera it is a processor-computer). There is nothing man has thought up or conceived that God has already gone before him placing those principles in the physical creation. There is "nothing new under the sun." ​Ecclesiastes 1:9 "The thing that hath been, it is that which shall be; and that which is done is that which shall be done: and there is no new thing under the sun. 10 Is there any thing whereof it may be said, See, this is new? it hath been already of old time, which was before us." KJV Therefore, we should seek the Lord while He may be found. The Pulley: It is one of the basic tools in physics. 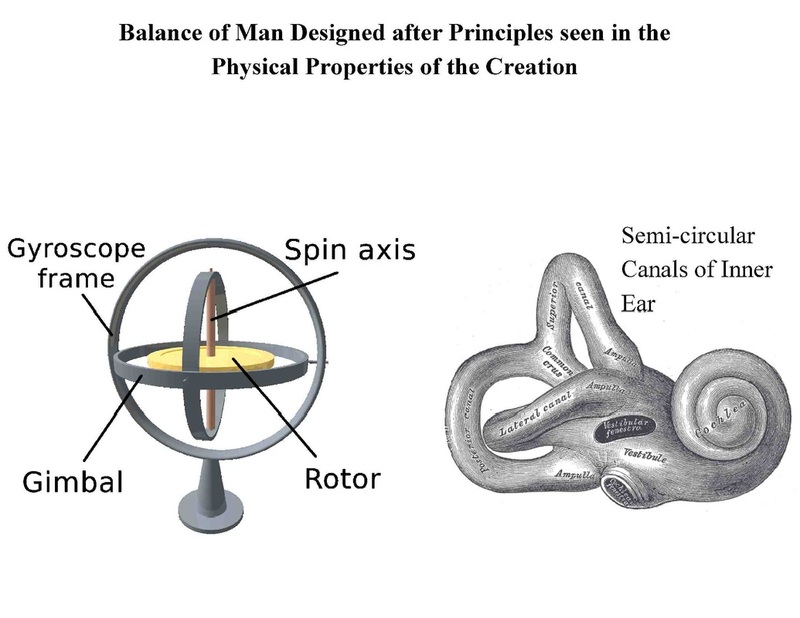 Man thought he invented the pulley, but the pulley has been inherent in nature long before man utilized it. See figure below. Several muscles positioned on the posterior side of the leg connect to tendons which curve around the Malleolus (a bony protrusion with a groove for the tendons to slide in) and inter-digitate on the plantar (bottom) region of the foot/toes. Flexion occurs with contraction of the muscles which then pulls on the tendons, which do not stretch (they are like a cord of rope). As the tendons are pulled back and upward the foot and toes bend downward. The foot and toes can bend because of the joints, which are composed of a firm yet flexible material called cartilage, allows then to deform without breaking the bony non-flexible areas. 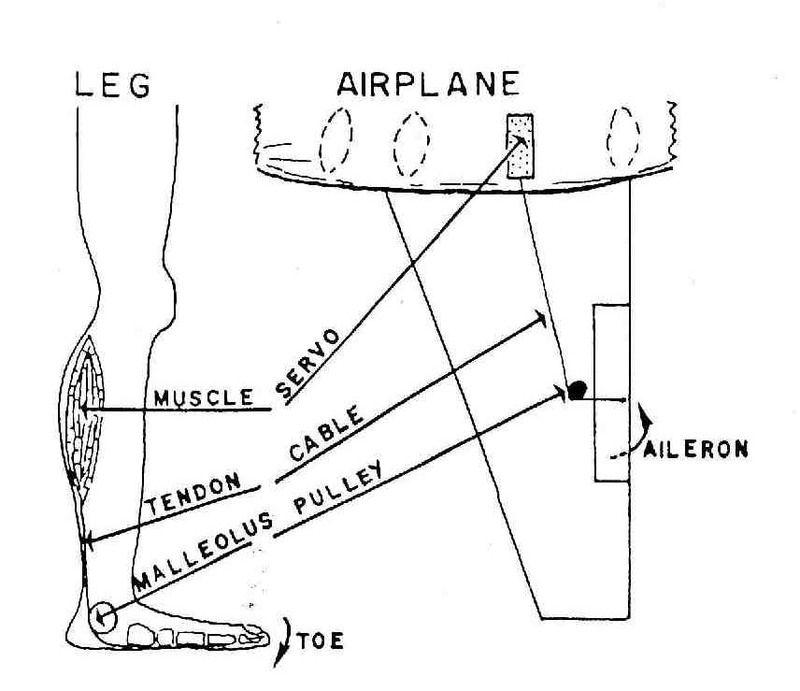 In like fashion the airplane has a servo that acts much like a muscle which pulls on a non-stretching cable that loops around post and bends the aileron up or down. It is the contention of this author that God allows man to search out and discover such principles of nature and then to utilize them-which we call technology. But man did not create these principles-only God did it. ﻿The aorta is the conduit in which oxygenated blood leaves the heart and is sent to other parts of the body in any vertebrate organism. It is exquisitely structured and any mutation that has been found in any one of its component parts has been shown to be harmful and usually lethal to the organism. Key parts include collagen, a protein, which in an aqueous solution is fold-able, bendable but once unfolded/unbent to a linear position it will not extend further and has a tensile strength approaching steel per gram weight. Elastin, another protein, on the other-hand in an aqueous solution tends to coil back on itself but will expand if stretched out. It is called hydrophobic, not liking water, whereas collagen is not the same. The third important component is that of proteoglycans-compound structures of protein and carbohydrate (sugar) moieties (some include the collagens in this group). These molecular structures expand in water. All three are necessary for the proper flow of blood from the heart to the rest of the body. 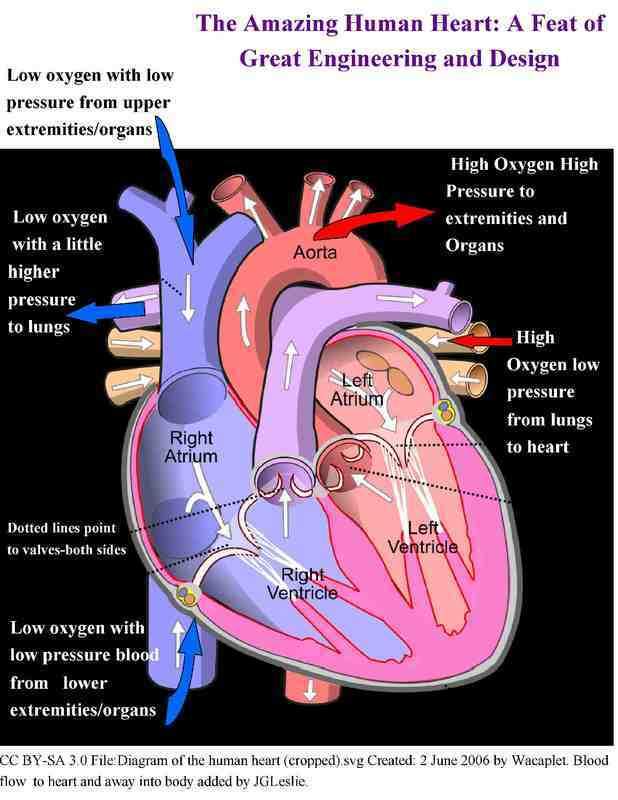 When the heart squeezes down and pushes blood out of itself, the pressure inside the lumen of the blood vessel goes up. It is necessary for the lumen to increase in size so as to keep a pressure physiologically safe. The collagen unfolds till fully expanded then there is no further increase in lumen size. As the blood flows down the aorta and the pressure drops the elastin begins recoiling and reduces the lumen size while maintaining an appropriate physiologic blood pressure. The proteoglycans help the aortic wall maintain a certain dimension. The activity is maintained from 60-200 times per minute depending on the organism involved. The ratio of each of these components is adjusted to meet the blood pressure requirements as the blood flows into smaller and smaller vessels in the distal organs of the body. Elastin content generally decreases and collagen content increases. Among different organisms the blood pressure demands affect the composition of the aorta-simple structure function relationships and does not imply some sort of genetic relatedness, at least from a scientific standpoint. The complexity of this structure, and for an other structure in any other organism, argues strongly for design and a designer and not for some amorphic self-guided principle of nature. ﻿﻿﻿Marfan's Syndrome: "The syndrome is caused by the misfolding of ﻿﻿﻿fibrillin-1﻿,﻿ a glycoprotein ﻿which forms ﻿﻿elastic fibers﻿﻿ in connective tissue and contributes to cell signaling activity by binding to and sequestering transforming growth factor beta (TGF-β). The mutated fibrillin binds poorly to TGF-β, which results in an accumulation of excess TGF-β in the lungs, heart valves, and aorta. This in turn causes abnormal structure and function of vascular smooth muscle and reduced integrity of the extracellular matrix, which weaken the tissues and cause the features of Marfan syndrome." Wikipedia online 4-910-15. ﻿ Whether one accepts an intelligent being having designed this physical universe, or one accepts some sort of self guiding principles of nature it is a religio-philosophic position into which one puts the observations of science. ﻿﻿Yet, it is observed that intelligence must be applied in the development of any complex structure. There is no evidence for spontaneous self-organization of matter into complex structures. Also, mutations have been observed, are harmful, and do not provide evidence for evolution-at least in the usual assumed upward progression. They consistently provide evidence for degeneracy of life forms. 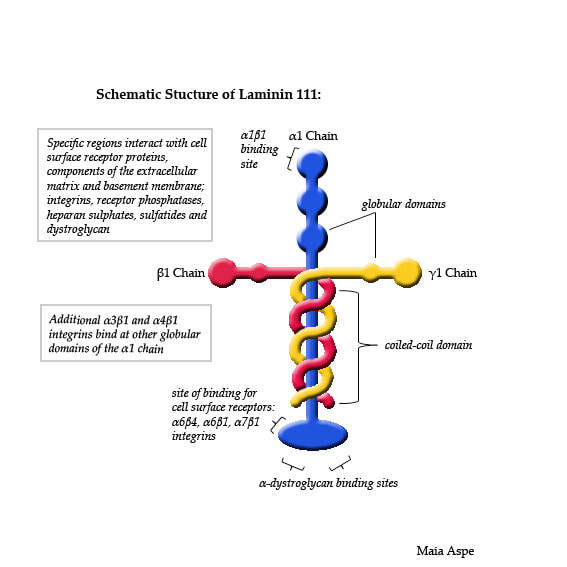 JGL Note: Laminin is a good example of a marvelously designed structure that is now in the process of degradation and causes serious diseases. 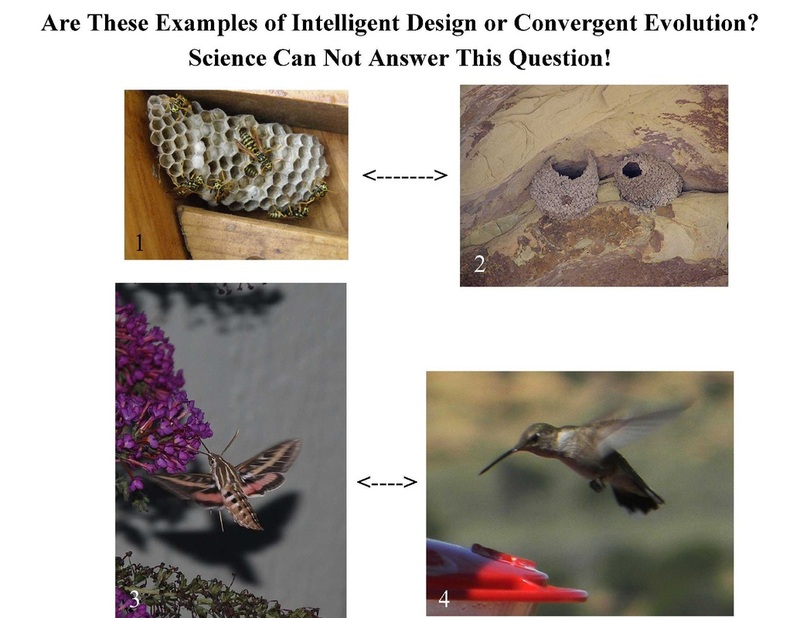 Intelligent Design In Insects: How Do They "Learn"? "Phonognatha graeffei, referred to as the Leaf curling spider, is a ﻿common Australian﻿ ﻿spider﻿ found in urban areas as well as woodlands in the North-eastern, Eastern and Southern states...They are distinguished by a curled leaf at the web's centre. The species form pairs living together in the same leaf though at opposite ends of their shelter, even before mating at maturity.The female creates a separate curled leaf "nursery" hung in foliage nearby...The web with its shelter at the centre, is easily identifiable. The leaf curling spider cleverly weaves a leaf or other object into the centre of its web as a hide-away from birds and other predators. Leaves are twisted along their length to form a funnel, (sometimes with a silk wall on one side, if necessary) that the spider can retreat into...The leaf-curling spiders are day-active orb weavers protecting themselves from predators by sitting inside a silk seamed, curled leaf. In P. graeffeithis leaf is suspended just above the centre of the web, but may be placed higher in other species. Such leaves may be already part curled though many are not, and the spider pulls and silks its leaf into a retreat cylinder, silked shut at the top and open at the hub.Like other web-weaving spiders, their main food source is flying insects including insects larger than itself." From Wikipedia online 1-18-15. How did the spider "learn" such a sophisticated behavior? We can observe it, but the origin is unknown. Yet, for me it is more reasonable to believe God put that behavior in the spider than to believe that it somehow developed it. And how is this behavior passed on to the insect offspring (it does not appear that they are "taught" by the parent)? Photos and drawing by JGL. Genesis 1 King James Version (KJV) 1"In the beginning God created the heaven and the earth...26 And God said, Let us make man in our image, after our likeness: and let them have dominion over the fish of the sea, and over the fowl of the air, and over the cattle, and over all the earth, and over every creeping thing that creepeth upon the earth...31 And God saw every thing that he had made, and, behold, it was very good. And the evening and the morning were the sixth day." Man has been given the ability to design things out of the earth/creation but it will always incorporate principles that God has already instituted in the Creation. Even the animal and plant "kingdoms" reflect His design. Man is dependent on God for everything; thought or understanding of life-even if man misuses what God has allowed him to learn. This is because of the Will of God in allowing man the choice to serve or not serve Him. We need to choose to serve Him. As the scriptures say in Isaiah 55:6-7 "Seek ye the Lord while he may be found, call ye upon Him while He is near: Let the wicked forsake his way, and the unrighteous man his thoughts: and let him return unto the Lord, and He will have mercy upon him; and to our God, for He will abundantly pardon." ​"A world-famous chemist tells the truth: there’s no scientist alive today who understands macroevolution"
"Professor James M. Tour is one of the ten most cited chemists in the world. He is famous for his work on nanocars (pictured above, courtesy of Wikipedia), nanoelectronics, graphene nanostructures, carbon nanovectors in medicine, and green carbon research for enhanced oil recovery and environmentally friendly oil and gas extraction. He is currently a Professor of Chemistry, Professor of Computer Science, and Professor of Mechanical Engineering and Materials Science at Rice University. He has authored or co-authored 489 scientific publications and his name is on 36 patents. Although he does not regard himself as an Intelligent Design theorist, Professor Tour, along with over 700 other scientists, took the courageous step back in 2001 of signing the Discovery Institute’s 'A Scientific Dissent from Darwinism', which read: 'We are skeptical of claims for the ability of random mutation and natural selection to account for the complexity of life. Careful examination of the evidence for Darwinian theory should be encouraged.'”... "In a more recent talk, entitled, Nanotech and Jesus Christ, given on 1 November 2012 at Georgia Tech, Professor Tour went further, and declared that no scientist that he has spoken to understands macroevolution – and that includes Nobel Prize winners! Here’s what he said when a student in the audience asked him about evolution:...(Professor Tour)"Let me tell you what goes on in the back rooms of science – with National Academy members, with Nobel Prize winners. I have sat with them, and when I get them alone, not in public – because it’s a scary thing, if you say what I just said – I say, “Do you understand all of this, where all of this came from, and how this happens?” Every time that I have sat with people who are synthetic chemists, who understand this, they go “Uh-uh. Nope.'"